This is an affordable replacement piece for an unobtainable fairing. 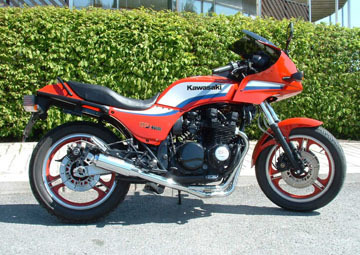 If your still driving your old ZX750-1100 GPZ you'll be happy to know that we still make this fairing assembly. 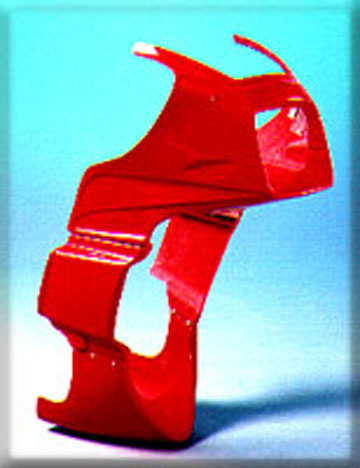 This lightweight fiberglass construction is easily mounted onto you chassis. Simply drill the mounting holes, paint, mount on your chassis and go for a ride. 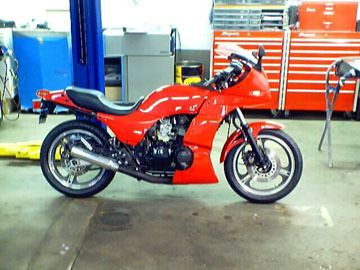 This neat little fairing assembly was designed years ago for the little GPZ550 and GPZ750. This belly pan and right and left mids complete the look of your little sport bike. Although we stopped making the brackets years ago for these pieces a crafty guy can fabricate them and have this mounted onto his bike before he can finish a six-pack.